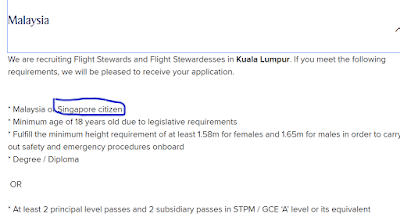 SIA cabin crew walk-in interview this coming Saturday 6 Oct will be at Kuala Lumpur. Although, the interview will be in Malaysia, it is opened to Singaporeans too unlike the ones in Singapore which is officially for Singaporeans only. 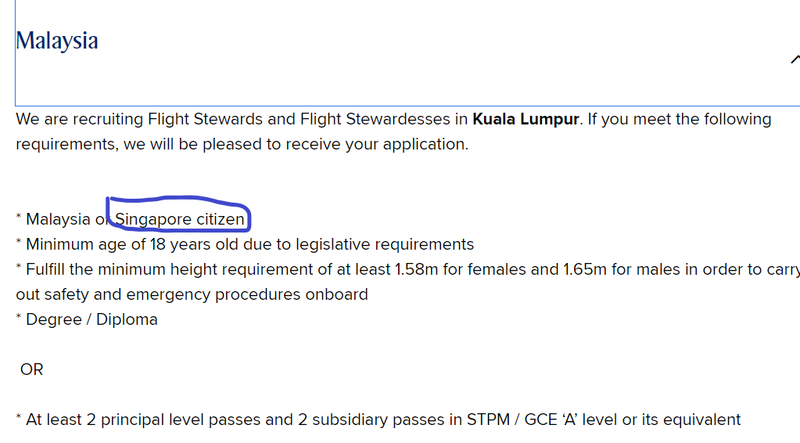 Anyone knows the reason why it is for Singaporeans only? Because if they open it to non citizens, then Oppo will freak out. SIA must also give Singaporeans priority because jobs are to come by and this is the national carrier.